Christmas time is the most green-house gas intensive time in North America. With masses of gift wrapping, excessive travel across the country, eating more food than we need, and buying more gifts than we can afford… what is the outcome? What is it all for? 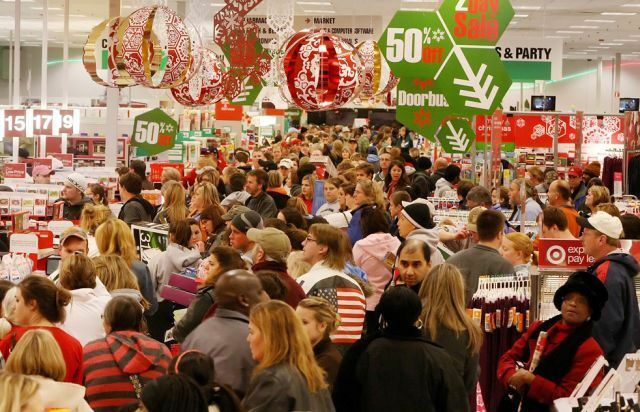 Could we still enjoy the happiness and warmth of the holidays without creating so much junk? Of course you need to ask yourself that question, and find your own ways of reducing your waste this season. Have you ever seen the story of stuff? It says that out of all the stuff that is mined, produced, shipped and purchased, only 1% of it is still in use after 6 months! We are shopping and living our lives in a completely unsustainable way. If you feel inspired to change this holiday season, then the rest is easy! 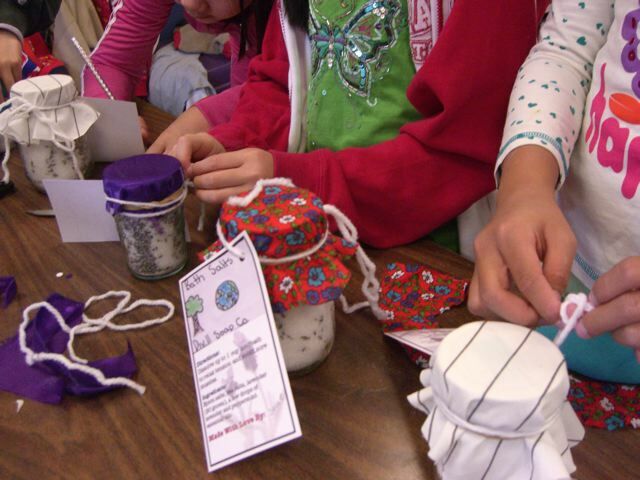 Rocky Mountain Education Society has been making eco-gifts with hundreds of kids in Vancouver schools this season, so there is no reason you can’t make them yourself. A simple gift idea to start us off, using a re-used masonry jar, is a batch of delightful bath salts scented with essential oil. Stay tuned for more great eco-gift ideas in the weeks to come. And please share with us your ideas. 1. Fill a masonry jar with Epsom salts (buy from any drug store). – (optional) Mix in 1/4 part of sea salts – gives more minerals for the soak! 3. Add 5-10 drops of essential oil of your choice. Relaxation: Lavender and peppermint essential oils. Rejuvenation: Grapefruit and Bergamot essential oils. Creativity: Try mixing your own scents. Don’t mix too many however, and test out the smells before you add them to your bath salts. 4. Decorate the jar simply by adding a home-made gift tag.